Maybe if your guests have another drink, someone will talk! 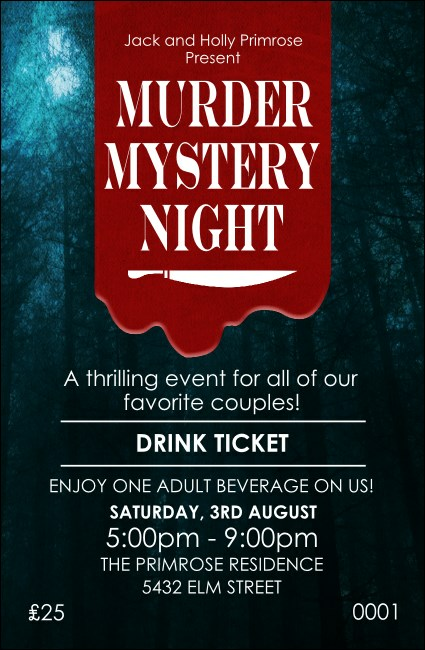 Find out more secrets when you distribute the Murder Mystery Drink Ticket. Perfect for an organized dinner, game night, or theater, this template announces your event in bold red with a dark forest background.